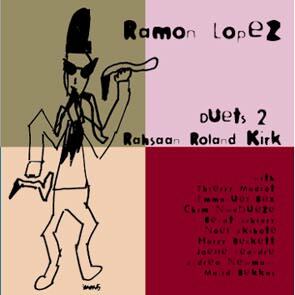 An extraordinary idea of Ramon Lopez to pay a tribute to the great Rashaan Roland Kirk by recording nine pieces of Kirk's music and inviting nine different musicians to play a different piece of music. So it's a CD of specially arranged duos with Joelle Leandre, Harry Becket, Noel Akchote, Thierry Madiot, etc. There is no question it will be the best CD of 2002, at least in France.